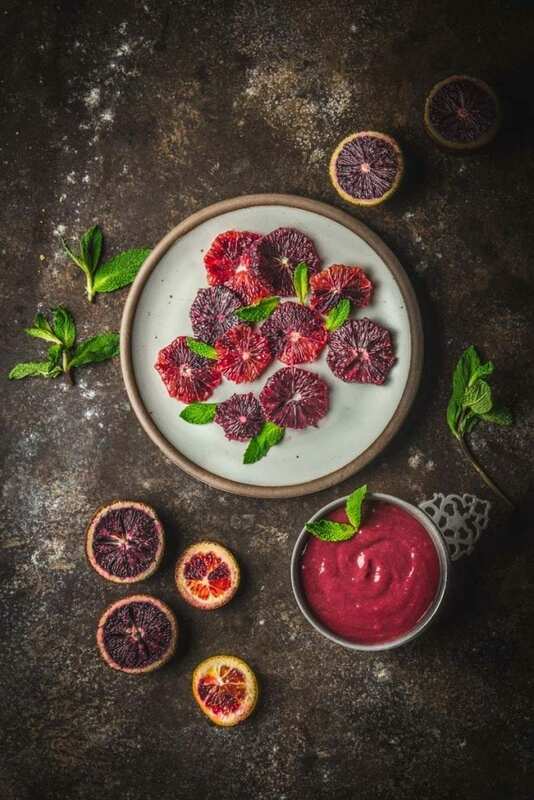 When blood oranges are in season, we just can’t get enough of them so when we found a local shop selling a big bag of them for under 5 bucks, we knew we couldn’t pass them up. But what do you do when life gives you lem… oranges? Make curd! We are legit curd crazy in this house. Curds with knives, they call us (no one calls us this). Lemon curd is pretty much a bi-monthly event in our kitchen. We’ve made blueberry-lemon curd, strawberry curd, even rhubarb curd. 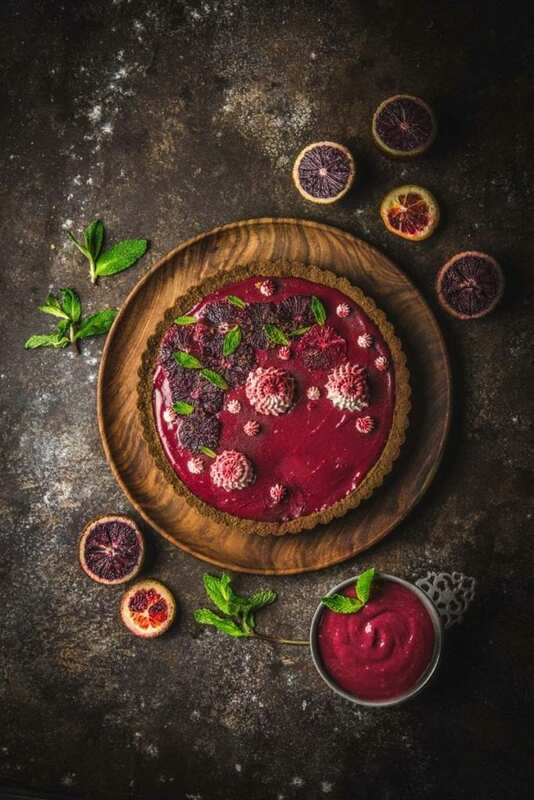 In fact, it was our experience with rhubarb curd that led us to add an extra ingredient, hibiscus, to our blood orange version (more on this later in the article). 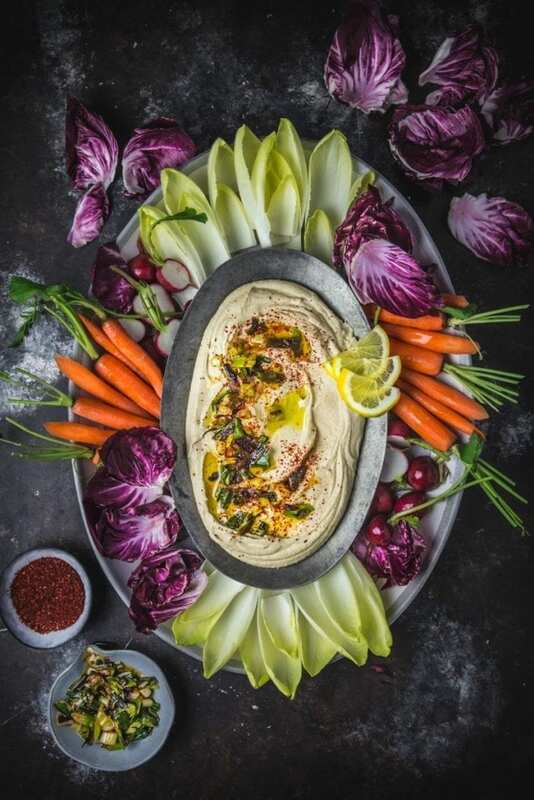 We’ve been dreaming about Michael Solomonov’s hummus recipe (from his incredible cookbook Zahav), since we first made it in 2015. You might remember hearing about it because it was one of those recipes that was everywhere, at least in the food blog world. It seemed like everyone and their cousin Sally was making it, raving about it and blogging it. Well, ever on the cutting edge, we’ve finally come up with our take on it and not a moment too soon. We give our version a twist with the addition of white (shiro) miso, which is one of our all-time favorite ingredients and something we have permanently in stock. Miso has a deeply nutty, slightly fermented saltiness and a hint of sweetness that is just delicious, especially when paired with something tart, like lemon. 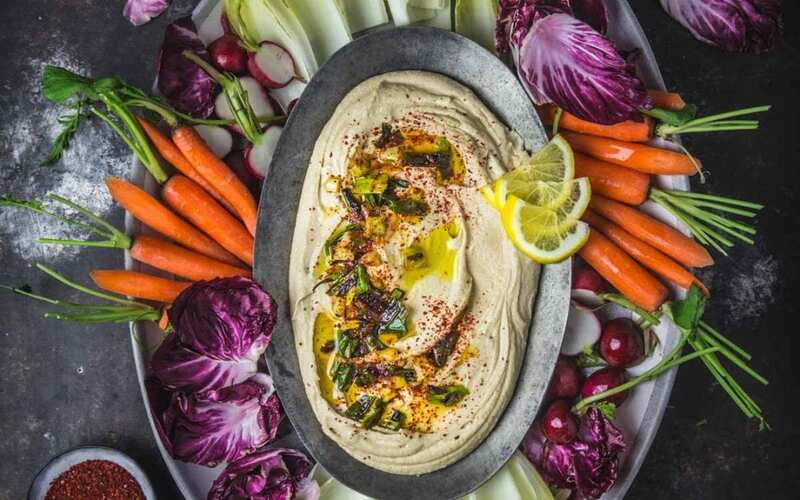 Along with the (also nutty) tahini, it adds a layer of flavor that hits just the right note. I was that weird kid who, when offered the choice of a brownie or a blondie, would always choose the blondie. 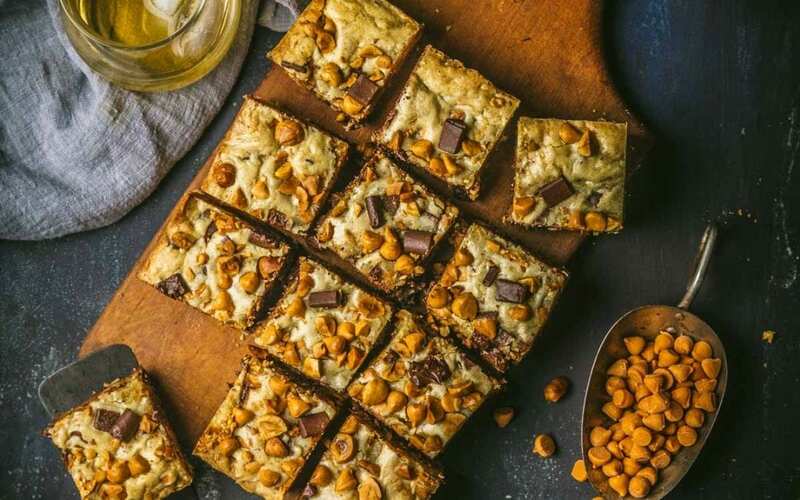 Something about that cookie bar, packed with chocolate chips and toasty nuts, was just more interesting to me than straight chocolate (though I wouldn’t toss a good, fudgy brownie out of bed either. I’m not a monster). 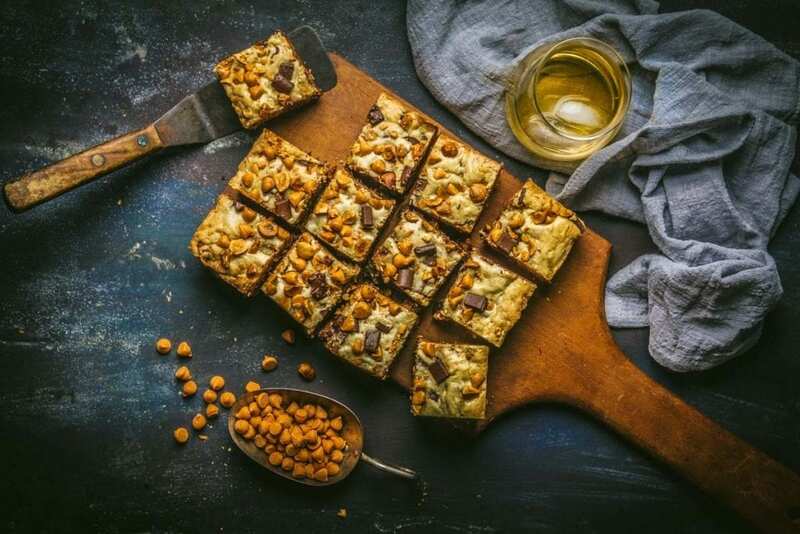 Unfortunately, more often than not, blondies can be underwhelming — either dry and crumbly or doughy and flavorless — so we set out to develop a foolproof recipe for what we consider to be the perfect blondie: a tender, moist crumb filled with deep caramel flavor from brown butter, vanilla and (optional, but oh-so-delicious) bourbon. Then we packed in our favorite mix-ins: chocolate chunks, butterscotch chips and toasted hazelnuts. Just because a recipe uses fruit, it doesn’t have to be fruity. 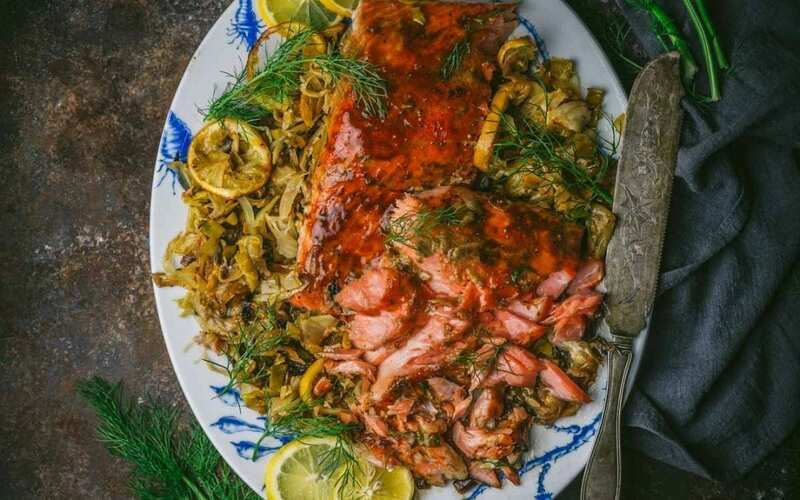 A tangy pomegranate glaze gives this salmon a delightful balance of sweetness and acidity, and slow-roasting turns the fish, and the fennel and leeks that cook with it, meltingly tender and silky. This is one of the easiest dishes we’ve ever made, and one of the most delicious. Let’s get this out of the way upfront: there’s a meat-and-fruit tradition in cooking that we’re just not a hundred percent on board with. 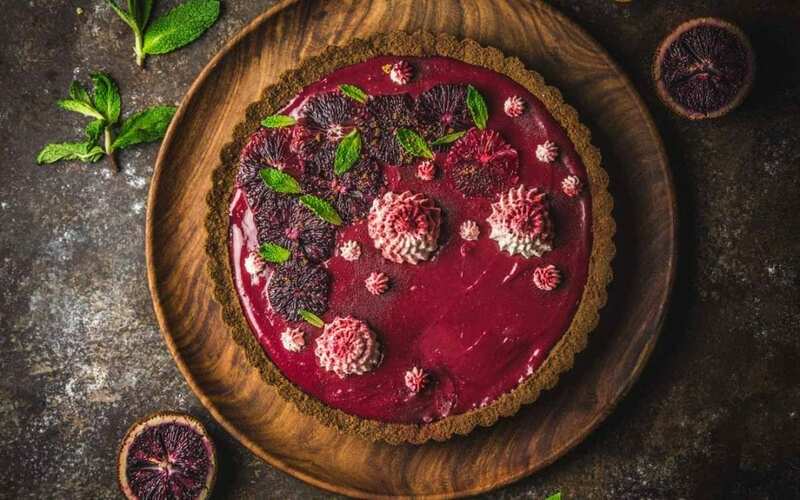 There’s nothing intrinsically wrong with that kind of combination, but the problem occurs when the fruit is overly sweet and there’s nothing to balance it out. When you have a fatty cut of meat — such as lamb — or fish, such as the wild salmon we use here — it benefits from being cut with an acidic component. It’s the same reason we use oil and vinegar together in a salad dressing. 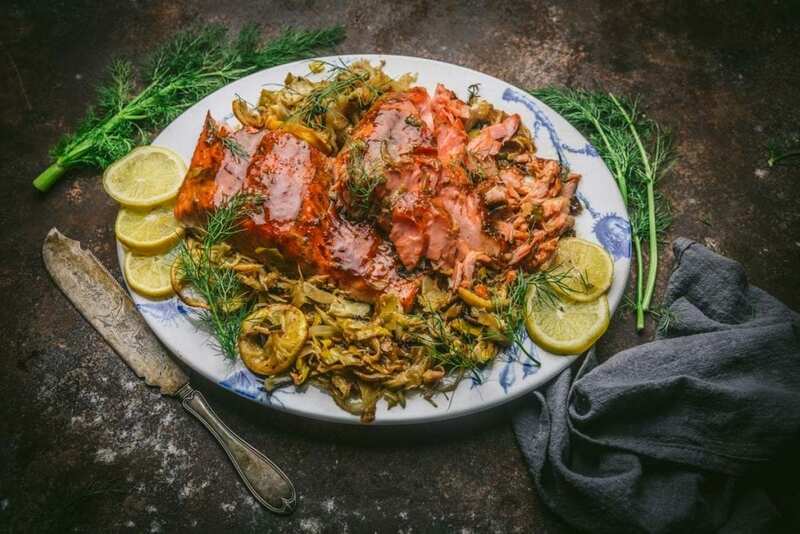 We’ll often use lemon in our dishes to contribute that balance, but this week we’re looking at how pomegranate molasses, made into a pomegranate glaze, can lend a similar complexity to the rich flavor of roasted salmon. Why do winter-season dinners feel more of a challenge to put together than summer ones? The days are darker, the evenings draw in, there isn’t quite as much fresh local produce at the store or farmer’s market, and maybe we don’t have the energy to get as creative as we’d like. 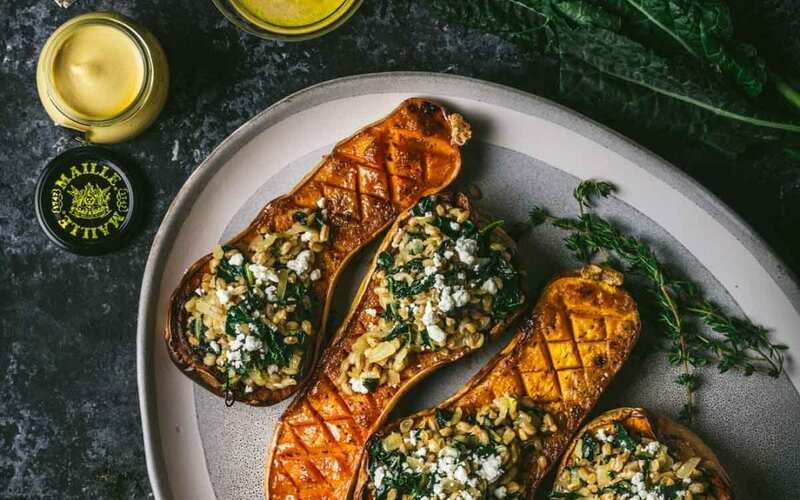 But here’s the key: sticking with simple ingredients such as hardy winter squash, healthy farro and fresh greens, and then packing them with winning flavor combinations will reward you with a dinner as healthy and delicious as it is straightforward. 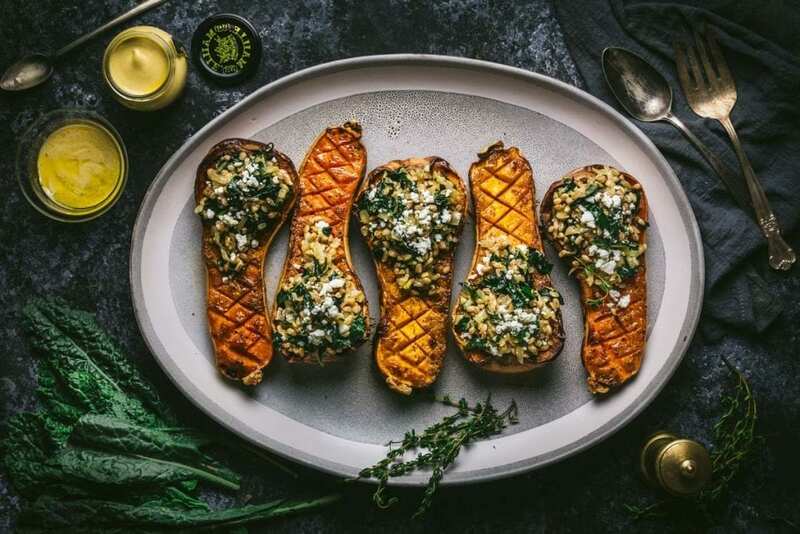 In this recipe, we’ve partnered with Maille Dijon Originale Mustard to create a hearty seasonal winter supper packed with nutrition and flavor.